Homeowners insurance gives you the peace of mind that you’re covered in the event of theft, damage, and legal liability. But do you still have that peace of mind if you buy a condominium? The answer is yes – but the idea of what you actually own and what can be protected changes. You purchase a homeowners insurance policy because you are certainly the home’s owner – in most cases, this means you own the structure, its contents, and the surrounding property. If you own a condominium, however, you, of course, don’t own the building you live in or the land it sits on. The incorporated entity of the condominium or its homeowner’s association (HOA) will carry a master insurance policy to protect the building itself and pay for accidents which occur in the common areas. Personal injuries that happen in the common areas of the condominium. Damage to shared amenities and common areas of the condominium. Lobbies, hallways, and elevators are examples. Damage to the exterior of the condominium building. But if there’s a break-in and theft, or certain damage inside your unit, this building, and grounds insurance policy will not cover you. You own just your condominium unit and not the whole building, so you need to insure the interior of your unit. Before you purchase a policy for this, however, you need to know the type of coverage the HOA’s policy offers. The HOA might have what’s called an “all-in” policy that covers items built into your condo unit, such as plumbing, electrical wiring, and even appliances, cabinets, and lighting – if those latter fixtures were originally installed with the structure. 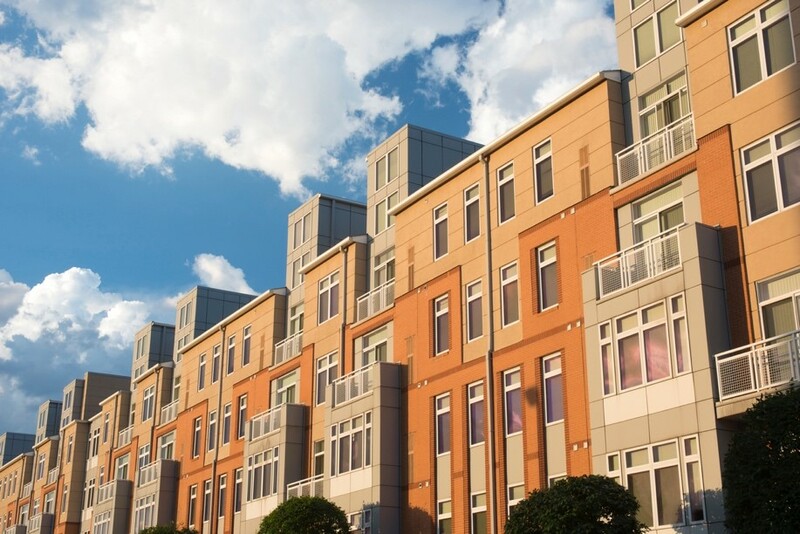 On the other hand, your condominium HOA might opt for what’s called a “bare walls” policy, which covers nothing other than the ceiling, floor, and walls. The HOA’s policy covers the shared areas and the building itself, so you need to protect yourself from the liability of a lawsuit from someone who is injured while inside your condo unit – much the same way that traditional homeowners insurance offers coverage for this purpose. Since HOA insurance may cover as little as just the bare walls inside your condo unit – and, at maximum, things like fixtures and appliances – you would have no recourse from this insurance to replace personal belongings that are stolen or damaged. The claim would have to be made through your personal condo insurance. The condominium insurance you must purchase to cover what the HOA does not is known as an HO6 policy. This insurance isn’t always mandatory, but either your mortgage lender or the HOA itself may require you to purchase it. In the case of a mortgage lender, your HO6 condominium insurance serves the same purpose that a general homeowners policy offers – protection of their financial stake in exchange for providing the loan. Many condominium owners do not occupy their unit on a full-time basis. If it’s unoccupied for an extended period of time, your insurer may also require you to purchase what’s known as vacant condo insurance. Many insurance companies will not protect your condominium against damage from things like some natural disasters, though some will. It’s important to understand what else your insurance policy may exclude. You should explore the coverage difference between a “named peril” policy and what’s known as an “open perils” policy. The latter will be more expensive because it will cover all perils except those that are specifically excluded, whereas the former covers only the things that are specifically named. You’ll find the perils an insurance policy covers on its “declaration” page. The average cost of a condo policy nationwide is $478 per year and $588 in New York – but the exact amount can vary quite a bit. The average yearly expense in Florida, for example, is $960. The rate for your condo insurance will depend on your exact location, the value of your personal possessions, the options you choose, and your deductible. And one of the biggest factors will be determined by what the HOA insurance covers. If it’s a bare walls policy, you will, of course, need greater coverage. We can help you determine the type of condominium insurance you need. Book a free one-hour personalized insurance review.